VANCOUVER, BRITISH COLUMBIA and NEW YORK, NEW YORK - May 29, 2013 (Investorideas.com mining stocks newswire) LOMIKO METALS INC. (TSX VENTURE:LMR)(LMRMF)(DH8B.F) (Europe: ISIN: CA54163Q1028, WKN: A0Q9W7) (the "Company") announces that the SUNY Research Foundation at Stony Brook University (RF), Graphene Laboratories, Inc. (Graphene Labs) and Lomiko Metals, Inc. have agreed to investigate novel, energy-focused applications for graphene. Disclaimer: The following news is paid for and /or published as information only for our readers.Investorideas.com is a third party publisher of news and research. Our sites do not make recommendations, but offer information portals to research news, articles, stock lists and recent research. Nothing on our sites should be construed as an offer or solicitation to buy or sell products or securities. All Investment involves risk and possible loss of all investment. Disclaimer in full, Investorideas.com Disclosure Please read individual disclosures for featured stocks. ALISO VIEJO, CA - May 20, 2013 (Investorideas.com renewable energy newswire) Solar stock, XsunX, Inc. (OTCQB: XSNX), the developer of CIGSolar®, a patent-pending technology for the mass production of CIGS solar cells that offers a capital-efficient, low-cost alternative to the use of silicon solar cells, today announced that the Dr. John R. Tuttle had joined the Company's Advisory Board. "John's extensive entrepreneurial background and comprehensive knowledge of the Cleantech industry is the perfect addition to XsunX at just the right time," stated XsunX CEO, Tom Djokovich. Over the last several years, the Company has been developing its CIGSolar® technology while navigating the solar industry-wide restructuring. Recently XsunX began its transition from focusing on its CIGSolar baseline system design and build-out to marketing of its CIGSolar® technology. The next logical step was the addition of a seasoned industry innovation and business development veteran to aid in this transition and further development of XsunX's business relationships with customers and investors. "There's been a paradigm shift occurring at virtually every level of the solar industry including, and most significantly, how business, the capital markets, and project finance assess the value of the solar industry as a whole and, more specifically, the value of any particular technology," added XsunX CEO Tom Djokovich. "Our current requirement was to find someone with world-class CIGS experience and someone who could also 'think outside of the box' -- or in the CIGS business -- outside of the vacuum chamber to commercialize technology. Dr. Tuttle's years of noteworthy experience at NREL elevating the science and capabilities of CIGS, and his experience transitioning innovation into operational results provides XsunX with the hands-on capabilities that we were looking for," concluded Mr. Djokovich. Dr. Tuttle brings 30 years of experience in the semiconductor & photovoltaic industries to XsunX, and for the last several years has focused on assisting with operational and capital management of early-stage companies in the Cleantech sector. Previously, he was the co-founder, Chief Executive & Chairman of DayStar Technologies, Inc. where he took the company from 3 employees to an operational organization with world-class development and pilot production facilities, achieving an over 900% value creation for its IPO shareholders. From 1986-1997, Dr. Tuttle held the position of Senior Scientist at NREL where his research guided the fabrication of thin-film CIGS PV devices with multiple world-record efficiencies. He has authored/co-authored over 70 publications, 14 Patent's / Patent applications, and conducted over 100 presentations about technology & business development. Dr. Tuttle holds a Ph.D. in EE from the University of Colorado , an M.S. from the Colorado School of Mines and a B.S in Applied and Engineering Physics from Cornell University . Dr. Tuttle is joining as Senior Scientific and Business Advisor to XsunX. Matters discussed in this press release contain "forward-looking statements" within the meaning of the Private Securities Litigation Reform Act of 1995. Such forward-looking statements involve known and unknown risks, uncertainties and other unknown factors that could cause the Company's actual operating results to be materially different from any historical results or from any future results expressed or implied by such forward-looking statements. In addition to statements that explicitly describe these risks and uncertainties, readers are urged to consider statements that contain terms such as "may," "will," "should," "believes," "expect," "intend," "anticipate," "plan," "estimate" to be uncertain and forward-looking. The forward-looking statements contained herein are also subject to risks and uncertainties that are described in our most recent annual report on Form 10-K under the heading "Risk Factors" and our subsequent filings with the Securities and Exchange Commission. We do not undertake any obligation to update publicly any forward-looking statements whether as a result of the receipt of new information, future events, or otherwise. Point Roberts, WA - May 20, 2013 (Investorideas.com renewable energy newswire) Investorideas.com staff: Investorideas.com, an investor research portal specializing in investing ideas in leading sectors including renewable energy stocks issues a snapshot for solar stocks for last week�s trading session. SolarCity Corporation (NasdaqGM: SCTY) closed strong in Friday's session, ending at $45.00, gaining 9.31 or 26.09% on over 7/8 million shares. The company announced a lease financing agreement with Goldman Sachs (GS) to fund more than $500 million in solar power projects; an estimated 110 megawatts in generation capacity for homeowners and businesses. Last week XsunX, Inc. (OTCQB: XSNX), the developer of CIGSolar®, a patent-pending technology for the mass production of CIGS solar cells that offers a capital-efficient, low-cost alternative to the use of silicon solar cells, announced that the Dr. John R. Tuttle had joined the Company's Advisory Board. 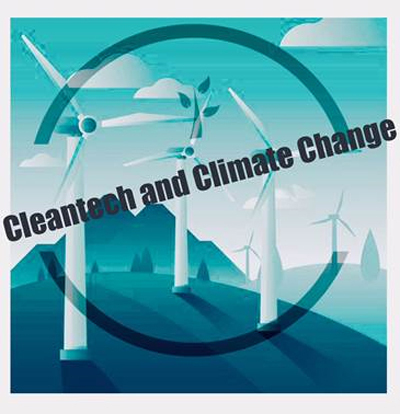 "John's extensive entrepreneurial background and comprehensive knowledge of the Cleantech industry is the perfect addition to XsunX at just the right time," stated XsunX CEO, Tom Djokovich. The stock traded above average volume on the news. Canadian Solar Inc. (NasdaqGS: CSIQ) closed Friday at $7.84, gaining 0.76 or 10.73% on volume of 2,933,898 shares. Last week the company announced the successful expansion of its partner Romano Sustainable Solutions in Africa. Romano, a pioneer company in the South African photovoltaic (PV) industry, was recently awarded the engineering, procurement and construction (EPC) contract for a 360 kW PV solar system installation. The roof top installation will be on the Johannesburg headquarters of Eskom, the largest producer of electricity in Africa. www.InvestorIdeas.com is a meeting place for investors and public companies in leading sectors. Find investing ideas in biotech stocks, tech and mobile stocks, mining stocks, oil and gas, water stocks, renewable energy, beverage stocks, defense stocks, nanotech and more on TSX, OTC, NASDAQ and global exchanges. The Investor Ideas newswire is a news source on Google news, Google Currents and Linkedin.com/Today news. Investorideas.com newswire is now available as a free mobile app for iPhone orAndroid. IS YOUR ART KILLING YOU? (www.investorideas.com renewable energy newswire ) A documentary on the pioneering of sustainable art products, the work of artist Marshall Carbee, is seeking Kickstarter funding to expose the paint industry's dirty little secret - that even the low-VOC paints approved by the EPA have been declared safe only for the environment, all the while often being quite harmful to humans. VOCs stands for volatile organic compounds. "Don't be fooled by the word 'organic,'" says Executive Producer Nanci Crosbie. "They are chemical compounds - 'organic' only because they contain carbon, found in all living things." It is the "volatile" that is the safety risk. It means that these paints easily become gases. If you have ever painted a bedroom or a canvas, that strong smell that is noticeable for the first few days comes from the chemicals in the paint turning into vapors. The problem is, long after we stop noticeably smelling those compounds, the chemicals continue to seep into the air over the lifetime of the paint. That beautiful work of art hanging on your wall, that cute color for your baby's nursery - they are actually sending off unnoticeable fumes that are likely toxic, according to artist Marshall Carbee who says others must be alerted to this danger. Carbee first became aware of the problem while working as a scenic artist in New York City. Scenics are the artists who create the illusions of other times and places by painting the sets of movies and plays. "Our days are long," says Carbee, "but I noticed that when we struck the sets and our work was done, the job was often not done with us. Many scenics developed long-term health problems most likely from working with hazardous scenic art materials - even paints that were certified as having low-VOCs." When Carbee saw his fellow scenics develop chronic illnesses, he began to look for safer alternatives for artists. Shockingly, he discovered that there were none. So, he set out on a mission to create paints that were safer for people and safer for the planet - the first truly sustainable paints. Carbee's quest for a better future for paints ended up taking him backwards in time. Mankind has been painting since caves were our canvas, long before we relied upon petroleum and harmful chemicals. In 2008, Carbee search led him to Eco Safety Products, a relatively small soy-based coatings manufacturer in Phoenix, Arizona. Their CEO, John Bennett, had built a company that pioneered using soy-based formulations for paint rather than petroleum. The results were actually paints that were not only better healthier for people, but yielded much better performance, as well. The artist/entrepreneur and CEO began working together towards a shared vision of sustainability. They developed the first soy-based gesso for artists, and a line of soy-based industrial scenic art paints and products. Inspired by how Nature allows for the creation of paints without any chemicals, Marshall Carbee began to explore to what degree he could partner with the Earth itself in creating art. This led not only to his using sustainable materials, but to giving nature the creative lead in his painting methods. "Now my goal is to touch the art as little as possible," says Carbee of his unique work. "I use natural soy to prepare the canvas and then use the colors of the nearby environment to create the paints. Then I leave the canvas outside, sometimes for months at a time, and let wind, rain, and the curve of the Earth itself 'paint' the ultimate piece." The documentary will feature the results, which are often stunning: like looking at the Grand Canyon or the Great Lakes in miniature, only filled with dozens of colors. Carbee even harnesses what we usually consider nature at its most destructive - some of his most famous paintings have been created while canvases whipped through the high winds and rolled on the ground during hurricanes. Carbee's hope is that the documentary will inspire the next step. "No more finger painting in schools with paints that could be toxic. No more paint-caused illnesses for artists. No more dangerous VOCs in our homes. Contribute to our Kickstarter campaign, and join us in giving people a better choice for their children, their homes, and their art."